We’d love your help. 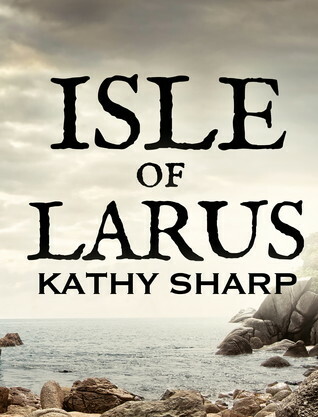 Let us know what’s wrong with this preview of Isle of Larus by Kathy Sharp. The four guardians of the Isle of Larus have been enjoying quiet and comfortable lives, with nothing more than the occasional shipwreck to trouble them – but all that is about to change. The Spirit of the Sea decides to send a series of alarming events to test and teach them, as well as providing himself with hours of entertainment at their expense. For the first test, how The four guardians of the Isle of Larus have been enjoying quiet and comfortable lives, with nothing more than the occasional shipwreck to trouble them – but all that is about to change. The Spirit of the Sea decides to send a series of alarming events to test and teach them, as well as providing himself with hours of entertainment at their expense. For the first test, how will the guardians cope with the arrival of a fleet of completely impossible ships? Not too well at all, it would seem. To ask other readers questions about Isle of Larus, please sign up. Do you know that feeling when it's raining outside and you curl up with some tea and read? The day is gloomy and silent, there's no one else at home, but you like it that way. You don't need good weather to read. On the contrary, seeing it rain outside and sitting snuggled up with tea and a book makes you feel even more protected and relaxed. Well, this is that kind of book. At least that's what it felt like for me. The book starts out with a quaint island full of people who are seemingly normal p Do you know that feeling when it's raining outside and you curl up with some tea and read? The day is gloomy and silent, there's no one else at home, but you like it that way. You don't need good weather to read. On the contrary, seeing it rain outside and sitting snuggled up with tea and a book makes you feel even more protected and relaxed. The book starts out with a quaint island full of people who are seemingly normal people, but really - they're like children. Or like sheep. Who don't think much when stuff happens. That's what they've got 4 guardians for though. Without them they wouldn't feel safe, wouldn't even know much about what needs doing if unprecedented things happen. Which is more than common, apparently, even if it's an island that has almost no connection to the outer world whatsoever. This book is like a fairytale for adults. How many of you have read The Wind in the Willows? Well, it's like that. Only with human characters. Pretty much. I think the Isle of Larus is in a class (& world) of its own! This mystic isle exists in a parallel universe that occasionally peeks into the world we know. More or less self sufficient, the island is cared for by four Guardians. Their world has existed happily for many years until a visiting trader throws the island into chaos.. I loved the quirky characters and the wonderful sense of mayhem the author creates. A lovely read! This is the first Kathy Sharp book that I have read. The Isle of Larus is an island that exists in a parallel universe to us with at times a glimpse to Larus from our universe and when this happen they can also us. I loved the idea of the guardians and the innocence of the people on the island. Their only problem it that they never learn from their mistakes :). This was a very lighthearted read with some fantasy elements. This was not my typical fantasy read but still enjoyable. Thank you to Kathy This is the first Kathy Sharp book that I have read. The Isle of Larus is an island that exists in a parallel universe to us with at times a glimpse to Larus from our universe and when this happen they can also us. I loved the idea of the guardians and the innocence of the people on the island. I loved The Isle of Larus - it took me right out of my own world and planted me firmly in this wonderful place of innocence, miracles, bar room brawls and gentle humour. Such is Kathy Sharp's skill, it was like having a story read to me. A fantasy world, but one to which the reader can relate. Highly recommended. I'm looking forward to reading the second in the series, Sea of Clouds. This is the first of Kathy's books I have read, and I loved it so hope to read others soon. Fantasy is not my favourite genre, but I have a feeling Kathy could convert me fairly easily - I couldn't put this book down! My copy is currently out with a member of my local reading group. Excellent first novel. Dorset writer Kathy Sharp uses her knowledge of a coastal community to great effect. Myth, magic and community spirit working together, waiting expectantly for book 2 in the series. Definitely recommended. Initial thoughts as I've just finished - there is an Isle of Larus and I want to go back on the next shiny ship. Kathy Sharp has her own quirky style but I was still reminded of the Hitchhiker's series and of Terry Pratchett as I chuckled my way through. This is a delightful fantasy about the Isle of Larus that has four guardians who seem incapable of protecting it when strange things begin to happen. Silver ships appear and disappear. Visitors from the island of Arjento Rock prove troublesome. A seagoing trader attempts to steal innocence and, at the drop of a hat, pocket silver for himself. The four guardians are Rissa, who forecasts the weather; blind Rufus who communes with the sea (‘People had been wondering quietly for quite a while if all This is a delightful fantasy about the Isle of Larus that has four guardians who seem incapable of protecting it when strange things begin to happen. Silver ships appear and disappear. Visitors from the island of Arjento Rock prove troublesome. A seagoing trader attempts to steal innocence and, at the drop of a hat, pocket silver for himself. The four guardians are Rissa, who forecasts the weather; blind Rufus who communes with the sea (‘People had been wondering quietly for quite a while if all his wits were collected in the same crab pot.’); Pontius the priest who finds guidance from the Spirit in the Sky sometimes, but not often (‘The Reverend would have fallen on his knees to thank the Spirit of the Sky for this positive response, if he had thought anybody was listening’); and Castello, the Captain of Artillery who has no memory of how he came to the island. The delight is in the characterisation and their interaction. Told from an omniscient point of view, we learn of the thoughts and past of some characters, often with tongue in cheek. There are a few moral points to make along the way; and some amusing ones too. As Mother Culver stated, ‘The people of this isle have a great failing… They forget the past. They let it slip away, and do not learn from it, and so they are never prepared for the future.’ She’s good at interpreting old prophecies. Which seem to be coming true. Which will greatly affect the islander’s future. Some of the surprise revelations are worthy of a Gilbert & Sullivan operetta. Kathy Sharp maintains the amusement, the little mysteries, up to the end. If you like to read a tale with a smile on your face, you couldn’t do better than set your feet and mind upon the Isle of Larus. "He was an offcomer." What a wonderful explicit word, and I'm already in love with Rufus, the blind old man who communes with the sea and attracts attention and offerings away from the Rev's true Spirit in the Sky. Then there is Rissa who forecasts the weather in a most unconventional way, and Castello, Captain of Artillery, not the sea. So we have them, the four guardians of this island, which has a habit of disappearing. We are treated to their several antics in an endearing, light hearted mann "He was an offcomer." What a wonderful explicit word, and I'm already in love with Rufus, the blind old man who communes with the sea and attracts attention and offerings away from the Rev's true Spirit in the Sky. Then there is Rissa who forecasts the weather in a most unconventional way, and Castello, Captain of Artillery, not the sea. So we have them, the four guardians of this island, which has a habit of disappearing. We are treated to their several antics in an endearing, light hearted manner, which uncovers their traits of character. As the author states, nobody is quite real, or quite unreal, really. Which makes this tale all the more charming. The little white boats which appear and disappear in a most strange fashion may also be considered not quite real, and they occupy the minds of the islanders, with unexpected consequences which are not my place to reveal. But I will mention the Rev's misgivings about Mother Culver putting stories into people's heads, then he admits that planting ideas is what he does every Sunday, and asks himself if there is really any difference, if the intention is good? And the influence of wind, which runs off with most of the detail, has been brought home to me - and the consequences when it stops, and the cries of the gulls become closer. Lovely passage, that. Disclaimer: The author is my wife's aunt. As such, I've put off reading this book for quite some time. All the while I resisted peeking inside the box, I could explain that I'd not read it. If I did read it, though, and it was not good, I'd probably say the wrong thing. Fortunately, my fears were unfounded. I thoroughly enjoyed it, and, once my nose was in, forgot that it was my aunt-in-law's work. What we've got here is fabula rather than full on fantasy. It's proper storytelling with a fair few Disclaimer: The author is my wife's aunt. As such, I've put off reading this book for quite some time. All the while I resisted peeking inside the box, I could explain that I'd not read it. If I did read it, though, and it was not good, I'd probably say the wrong thing. What we've got here is fabula rather than full on fantasy. It's proper storytelling with a fair few very likeable (or at least smile-inducing) characters. Larus and some of its folk reminded me a little of Louis de Bernier's village of Cochadebajo de los Gatos in his South American trilogy (Stong women humouring good but foolish men) and also of Rushdie's Calf Island in Grimus. This is a really lovely read. 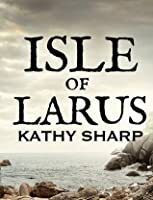 The Isle of Larus has 4 guardians who look after the island and the story tells of a place where life is quite innocent and in some ways old-fashioned. This book is gently humorous and full of engaging and endearing characters. To be honest, I'm glad the Isle of Larus is fictional, as I'd be quite tempted to pack my bags and move there..! Kathy Sharp lives by the sea in Weymouth, Dorset. She is a prolific writer of short fiction, and song lyrics for local choir Island Voices, and is the author of the Larus Series of novels, inspired by the dramatic scenery of the Jurassic Coast. Whales and Strange Stars is the first book in her new Wych Ferry Series. Kathy says: "When I first began writing fiction, I asked myself what exactly it was Kathy Sharp lives by the sea in Weymouth, Dorset. She is a prolific writer of short fiction, and song lyrics for local choir Island Voices, and is the author of the Larus Series of novels, inspired by the dramatic scenery of the Jurassic Coast. Whales and Strange Stars is the first book in her new Wych Ferry Series.